So, I ordered my little book and kept it hidden away till now. Just a few minutes ago, I picked out my favorite t-word and ran upstairs and slapped one on my body. And I think it looks swell, in a book-lusty sort of way. But why, you may ask, all the sneaking around? I had to wait for the beneficent Mr. Hall to get out of the house. Because when it comes to the t-word, even a t-word that’s temporary, Mr. Hall is not very beneficent. I wouldn’t want to say what Mr. Hall is when it comes to the t-word. Let’s just say I’d be that word that proper Southern women never, ever use. And yes, I am, too, a proper Southern woman. Yup! 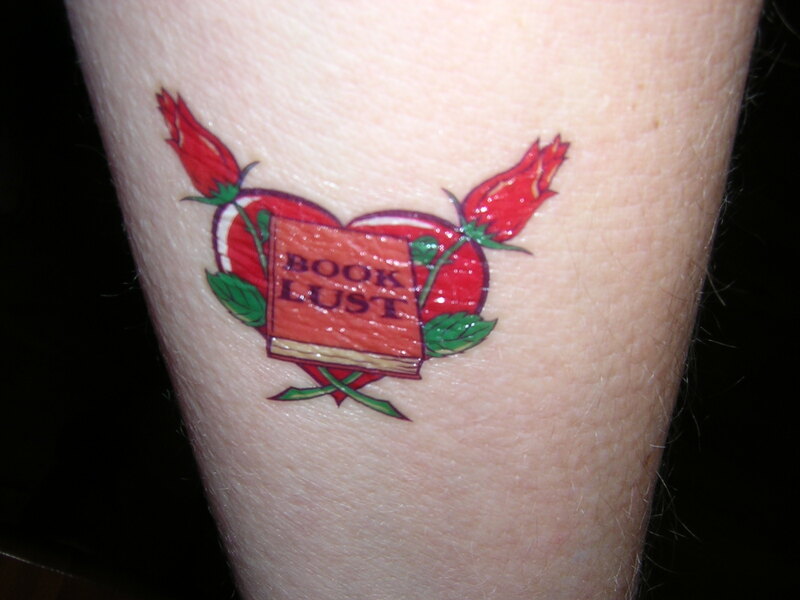 Nothing turns on a guy more than seeing a “Tolstoy” tattoo on their special lady. Except where I live it’s probably referring to Melvin Tolstoy the mechanic. Why, thank you! I knew you’d understand. And best wishes to Melvin. I have no doubt you are a “proper” Southern woman.”Improper” Southern women aren’t writers. Heck, they can’t even read. I should have mentioned that my temp T-word came from the little book, “The Illustrated Librarian.” And a big thank you to Writer Mama! I can’t wait to read “Get Known Before the Book Deal.” Blogging details to follow.And, I can think of a few improper Southern women who can read. But I’m much too polite to say whom.